Features that add security to a safe – Concealed (internal) hinges/square body/hidden features such as key override/dog bolts on the hinged side of the door/back and base anchoring positions. Is your budget relative to the value of what you’re trying to protect? A Safe can protect different mediums such as ‘ PAPER’ and ‘ DATA’ – do you need both, ask about CHUBB combination protection safes. What features are important to you – Internal light? Lock functions? Override key? Size? Weights? 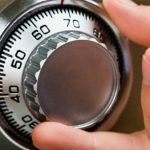 Can your safe be bolted down? What obstacles are there when trying to install you’re safe – steps/ stair cases, thick pile carpet, expensive flooring. The experts at Multifile will guide you through the process of purchasing the right safe or cabinet for your needs. Call or email us today to speak to a specialist.